We know that planning an event, especially if it’s in an unfamiliar location, can be complicated and time-consuming. We go beyond simple party rentals, and are here to support you in planning your special day. Even during our busiest seasons, we’re on call to answer your questions—days, nights, or weekends! 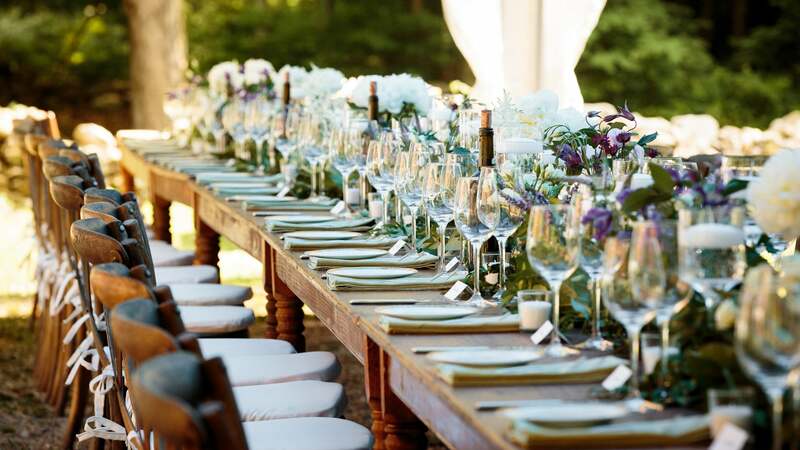 In addition to our party rentals—including furniture, plates and glassware, and custom linens— we also provide site inspections. Ask about our detailed computerized floor plans, which will help ensure optimal spacing and flow for your tent and site, as well as suggestions for where to place related services. Pre-booking is required for these services, as well as for custom party rentals. Get in touch as soon as you know your date and event location, and we’ll be happy to join your planning team. Do you have questions about custom services? We’ve got answers.